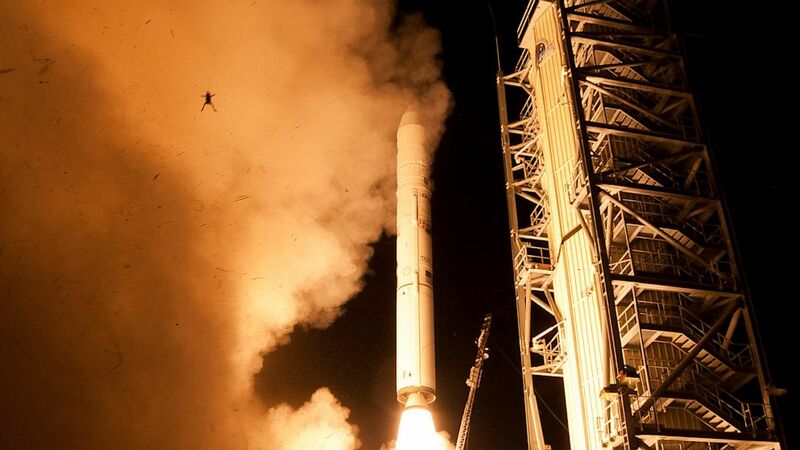 Posted By: ukimalefu Date: 9/13/13 6:47 a.m.
"NASA's unmanned LADEE rocket headed to the moon with an unexpected passenger, a small frog which was caught on camera launching into the air from its home in the marshy wetlands surrounding the Wallops Flight Facility in Virginia. One of three still-cameras setup around the launch site, triggered by sound, caught the small frog in the air. The frog is hard to miss in the photo with its arms and legs spread wide surrounded by debris from the wetlands, also lifted up by the power of the rocket's engines. The photo was posted to NASA's Instagram account." No mention of it hitting the vent core. Frog gets blasted ukimalefu 9/13/13 6:47 a.m.
Nice catch *NM* Godot 9/13/13 7:45 a.m.
Re: Frog gets blasted poena.dare 9/14/13 3:57 a.m.
: "NASA's unmanned LADEE rocket headed to the moon with an unexpected : passenger, a small frog which was caught on camera launching into the air : from its home in the marshy wetlands surrounding the Wallops Flight : Facility in Virginia. : One of three still-cameras setup around the launch site, triggered by sound, : caught the small frog in the air. The frog is hard to miss in the photo : with its arms and legs spread wide surrounded by debris from the wetlands, : also lifted up by the power of the rocket's engines. The photo was posted : to NASA's Instagram account." : : : http://abcnews.go.com/Technology/nasa-rocket-launch-accidentally-lifts-frog-space/story?id=20237426 : No mention of it hitting the vent core.